The finest rutilated quartz. Polished to stand. 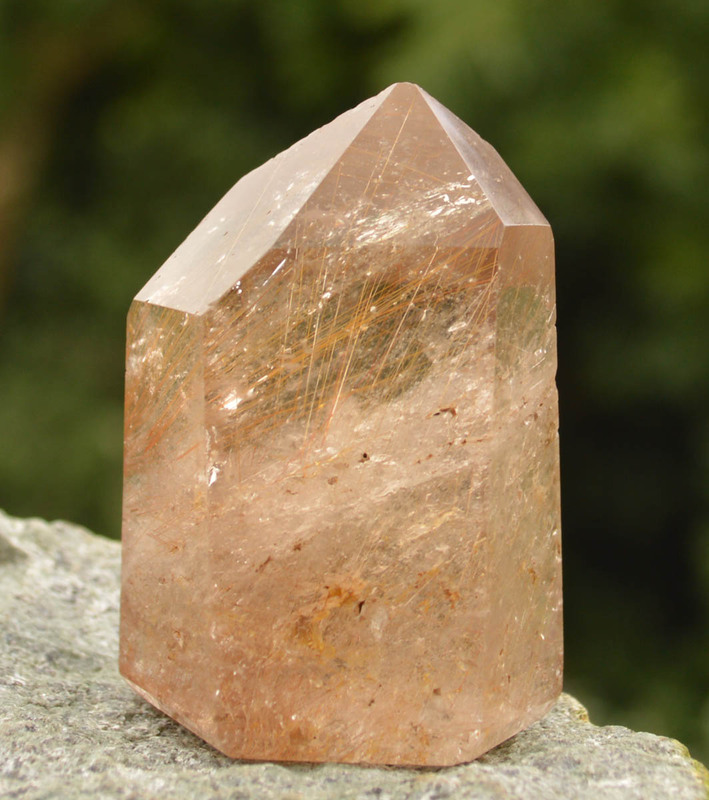 "Rutilated quartz intensifies the power of the quartz crystal. It combines the qualities of quartz with those of rutile and sagenite. 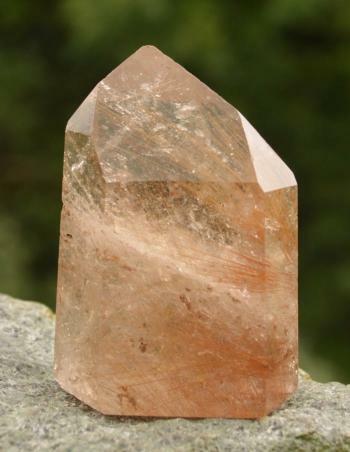 Rutile, when found within another crystalline form, brings strength with love, ease in transition, and growth in all avenues of one’s development, calm, reason, and order. Rutile is used for healing and balancing the aura via repelling negative energy. It assists one in getting to the root of a problem. It is a stone for stabilising relationships, marriages, mental processes, and emotional and physical imbalances. Sagenite is a "stone of wisdom”. It helps one to be judicious in ones experiences and to gain insight into the inner being without being required to repeat onerous situations. It provides acute mental discernment and enhancement of the practical side of ones nature. It encourages deliberate action via the exquisite art of kindness. Removes "muddy” areas from the aura.” Melody, Love is in the Earth.